What's the Difference Between the Universal Parks in Florida? 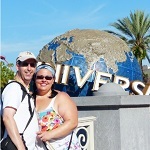 Home / Posts / Parks / Universal Orlando / What’s the Difference Between the Two Universal Orlando Parks? What’s the Difference Between the Two Universal Orlando Parks? There are two theme parks at Universal Orlando: Universal Studios and Islands of Adventure. Both are fun, exciting and packed with rides and attractions! I’d definitely recommend visiting them both – and Universal tickets from FloridaTix give you admission to both parks. But one of the things many first-timers want to know is What’s the difference between the Universal Orlando Parks and which one is better suited to me and my family? Well, that’s what I am going to answer in this post! The easiest way to describe the difference is that the rides and attractions at Universal Studios are based more on movies and TV shows, and Islands of Adventure is where the fantasy and thrill rides are. 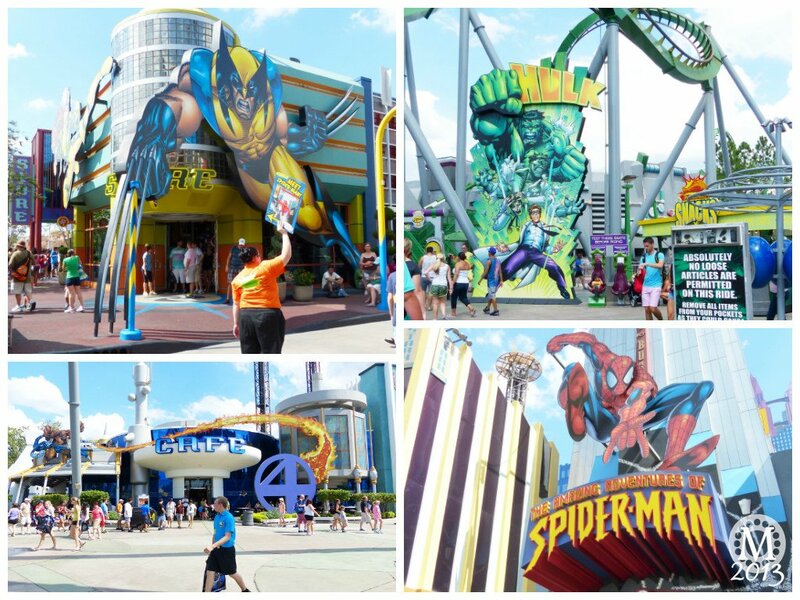 If you’re after the big thrill rides, head to Islands of Adventure. 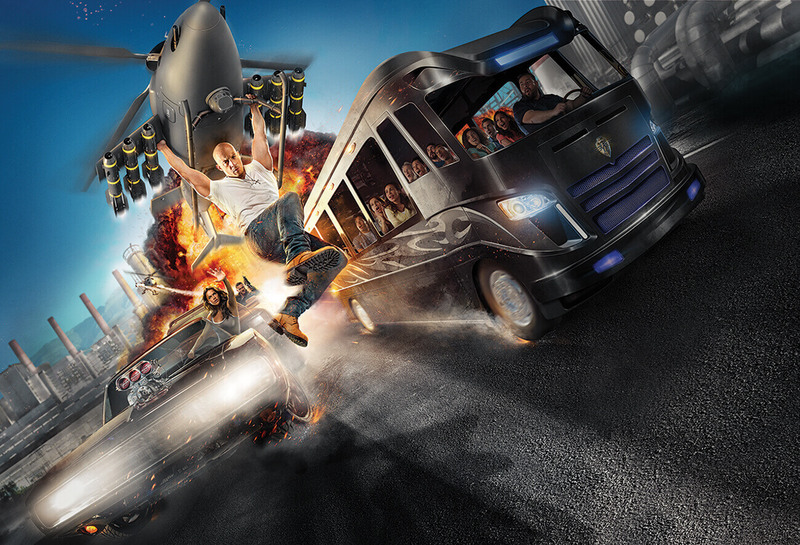 If you’re after a milder experience of rides and attractions, Universal Studios is the place for you! ….and what about Harry Potter World? 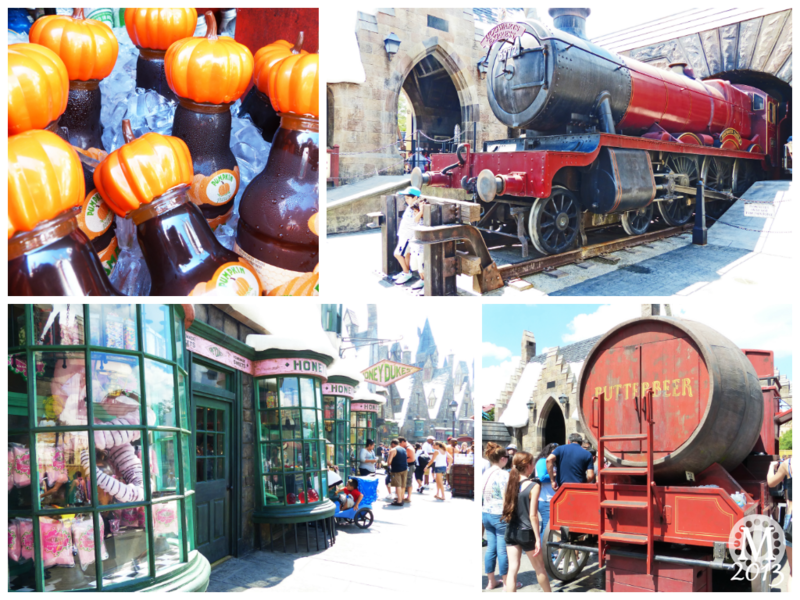 The Wizarding World of Harry Potter is now spread across both Universal parks in Orlando; Universal Studios has Diagon Alley, and Islands of Adventure has Hogsmeade – plus there’s a REAL Hogwarts Express train that links both the parks together! The good news is, there’s no real reason to pick one Universal Orlando park over the other when it comes to the money factor. 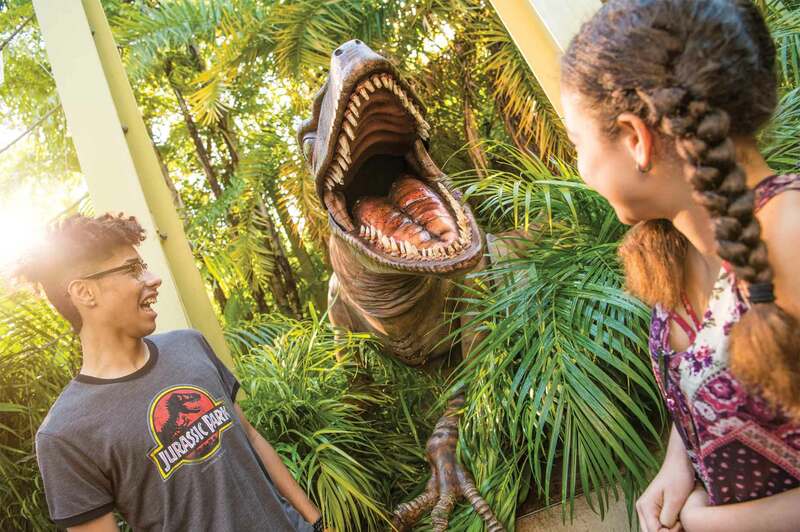 Many tickets for Universal Orlando are sold as a park-to-park ticket, which means you can visit both parks on the same day! It’s easy to walk between the two, OR you can catch the Hogwarts Express. Both parks are also easy to reach from CityWalk – Universal Orlando’s entertainment district filled with nightclubs, restaurants, shops and cinemas. Definitely the park for those who are not as keen on the big thrill rides. That’s us as a family – although, one day I will be brave enough to go on The Incredible Hulk Coaster at Islands of Adventure – and I will be dragging the boys on with me! For Universal Studios, head to the right and when you see the giant globe, you will know that you are nearly there! You then pass under the arch and your movie adventure begins…. We love TRANSFORMERS: The Ride-3D which is a thrilling dark ride seeing you on the frontline of an intergalactic war! You can even meet the Transformers! They’re pretty scary, especially Megatron, so be mindful of little ones! Although, you can also watch Universal’s Superstar Parade featuring characters from Despicable Me! My husband has ridden Revenge of the Mummy and said it was very good and goes very fast! I stayed behind with my son as he really didn’t want to go on it. I think he’d ride it now that he’s a bit older though! If you’re a fan of the movie, The Blues Brothers Show is excellent – it’s quite informal, dancing on the streets to the music – so get ready to shake your tail feather! This area used to be home to the iconic Jaws ride, which we rode on our first visit to Orlando back in 2011. However it has since been removed to make way for Diagon Alley. The giant shark remains though, so make sure you get a photo with him! 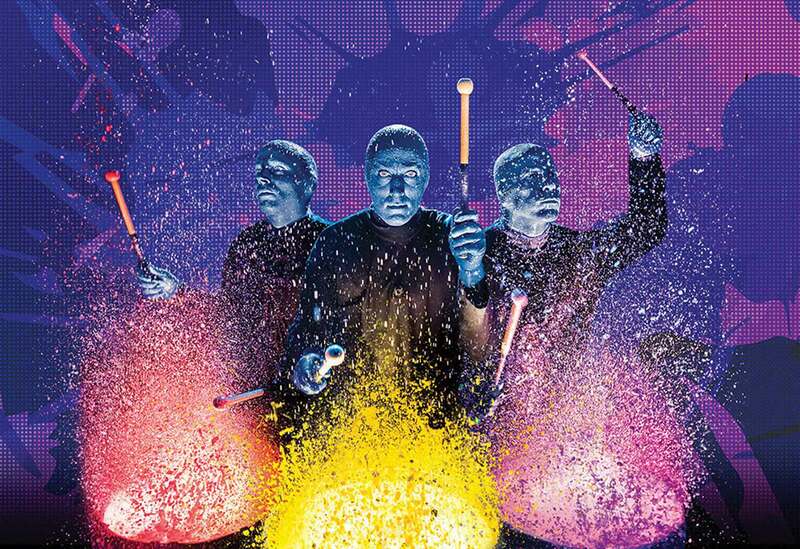 The Horror Make-up Show reveals the secrets of special effects in horror movies. It’s funny and not too scary, but there is some [fake] blood and gore. There is also audience participation, but don’t worry – no harm comes to the audience member! Terminator 2:3-D is another favourite of ours (it’s one of my favourite films). We love the combination of 3D and live action – a must-see for any fan of the Terminator movies. Our favourite part of Universal Studios is Springfield, the home of The Simpsons! They added a lot of new features to this area in the two year gap we had between visits, and it is AWESOME. You can eat at Krusty Burger, drink a Flaming Moe and even meet some of the characters. You can also ride along with The Simpsons as they visit Krustyland in a 3D simulator with 80 foot screens! 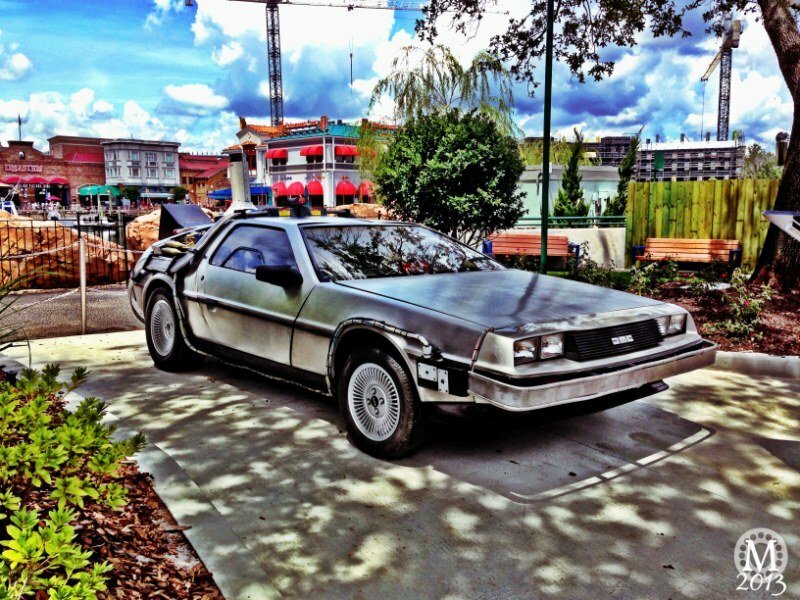 The Simpsons Ride used to be home to the Back to the Future Ride, and you can still see the Delorean, the time travelling train and meet Doc. We are huge fans of this movie and it was fun to discover this section which I’m sure wasn’t there on our first trip! Since we don’t have young children, we haven’t explored this area much, but there does seem like a lot to do for those with little ones. We did go on the E.T. Adventure which was fun, and if you’re a fan of the film, it’s worth riding! As I mentioned at the start, Islands of Adventure is all about the thrills and the fantasy. The park is also divided into different areas, so it’s probably easiest if I go through each one and tell you about what you can find! You enter the park at The Port of Entry, where you’ll find places to eat and shops to buy souvenirs, it is then either right to Seuss Landing, or left to Marvel Superhero Island. If you’ve got little ones, head right, if you want to hit up one of the major thrill rides, go left! Despite never going on it, Hulk is my favourite coaster! I just love watching it go round, and upside down…I’ll be brave enough one day! This is the area to go to if you or your kids love the Marvel Superheroes – you’ll find them all here, and some even come out to do meet and greets. We have yet to go on the Forbidden Journey ride, but we did manage to get on the Flight of the Hippogriff which is a small rollercoaster – but it does whip around fast! You can read more about the Harry Potter Rides here. You can also pop into several of the shops that you’ll recognise from the books and the films, including Ollivander’s Wand Shop, Zonko’s and The Three Broomsticks where you can try a Butterbeer. You can also buy bottles of Pumpkin Juice from carts in the street – my favourite! Of course, there’s also the Hogwarts Express, which is a real train ride that takes you from one Harry Potter park to the other. The journey is about 4 minutes and has some fabulous “views” through the carriage windows of Harry Potter’s wizarding world!…. The only thing we’ve done in this area is walk through it, and eat at Mythos Restaurant. That’s because on the days we’ve visited these attractions have been closed. Caro-Seuss-el, The Cat in the Hat, If I Ran The Zoo, One Fish, Two Fish, Red Fish, Blue Fish, The High in the Sky Seuss Trolley Train Ride! A great area for younger children – it is bright and colourful with several gentle rides. 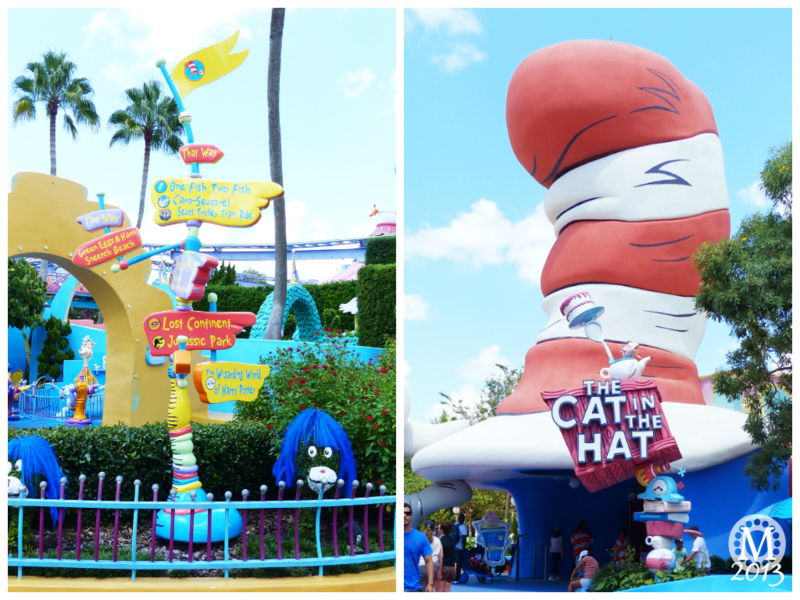 Although don’t be fooled by The Cat in the Hat ride, which does whip you around a fair bit! I hope that my post about the differences between Universal Studios and Islands of Adventure now helps you to decide which park is the right one for you and your family. They both have great rides and attractions of varying thrill levels, and I really do think that there is something for everyone at both of the Universal Orlando theme parks. We can’t wait to go back! thank you for this wonderful break down. Good work. Very useful information!!! Thanks so much for this! It was very helpful!! We’ve never been to Universal but our teen daughter is Harry Potter obsessed so we’re thinking of bringing her. That being said, if we make the trip, we’d like to experience it all. How many days should we be considering to get through the parks? I’m glad to hear you’re thinking about going to Florida – it’s definitely worth it! If you want to make the most of all the parks, we usually recommend spending 14 days in Orlando. For planning tips, you may find our 14 Day Florida Theme Park Plan useful. And one more thing – if you’re planning on visiting all Orlando Theme Parks, you’ll pay less if you get a combo ticket, rather than separate tickets.